Looking to get away for the weekend? Need some adult time away from the kids? 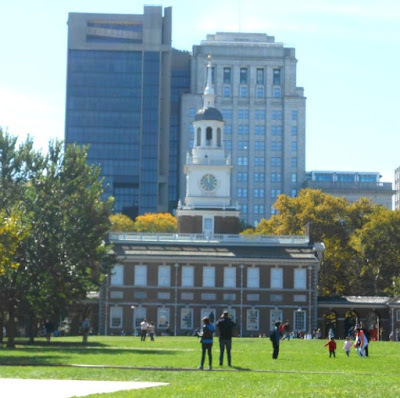 If so, we recommend planning a romantic trip for two to historic Philadelphia, Pennsylvania. Philly is one of those cities that never sleeps, so you'll always find something fun to do! 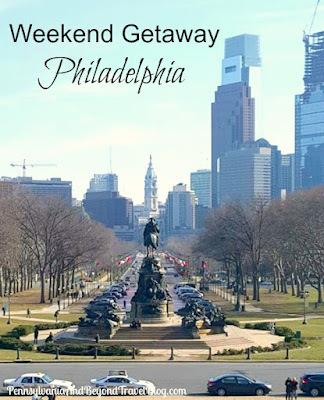 We recently spent a weekend in downtown Philadelphia and today I'm going to share with you some of the fun things that we had the opportunity to do! They are in no particular order. Phillies Baseball Game - My husband enjoys America's favorite past time, baseball! Thankfully while we were in town, the Phillies had a home game at Citizen's Bank Park. 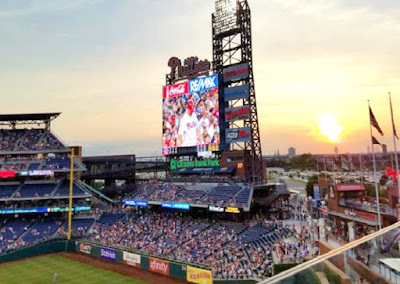 During the summertime I recommend going to an evening game, when the temperatures aren't quite as hot, plus you may be treated to a beautiful sunset while you're there. 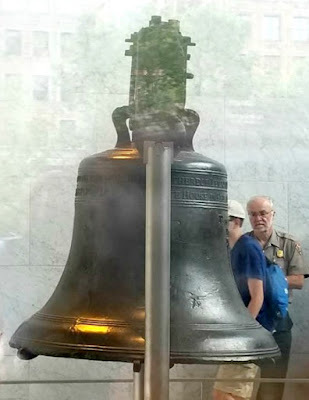 Independence Hall and the Liberty Bell - I'm a huge history buff and every time we get down to Philadelphia, I like to visit Independence Hall and the Liberty Bell. After all, it's the birthplace for the United States and is one of the most historic sties in America. We previously took a tour of this famous landmark and you can visit our previous review on that...right here on the blog. Shopping in the Downtown Business District - Just like most women, I enjoy shopping and if you're looking for a mega shopping experience, downtown Philly offers a lot! You'll find high-end boutiques, mixed-in with your smaller mom and pop type's of stores! 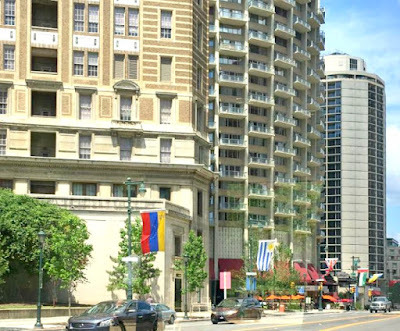 I literally could spend hours exploring the downtown business district. 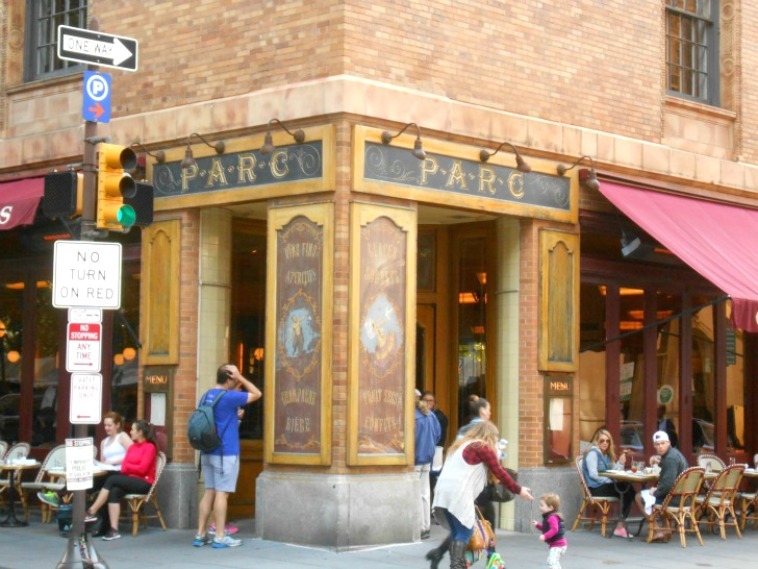 Parc Brasserie Restaurant - When we're in town, we like to make dinner reservations at the Parc Brasserie Restaurant. They have casual and fine dining options available to their patrons. In my honest opinion, they have some of the best food in the downtown area! You've got to try their desserts! Morris Arboretum - We enjoy being outdoors and when we travel, we like to visit various botanical gardens that we come across. 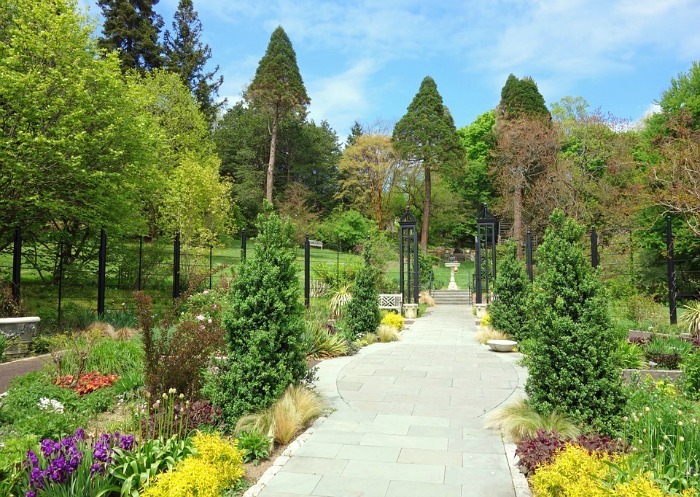 Morris Arboretum is one of the best gardens on the east coast and throughout the year they host a variety of different exhibits and events. 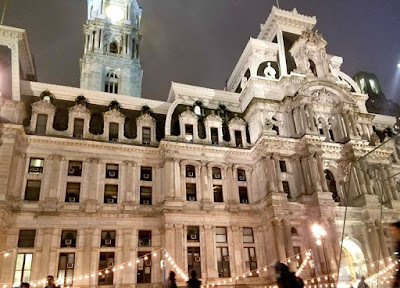 Philadelphia City Hall - For some reason, I just love this old and historic building in downtown Philly. During the holiday season they decorate City Hall with some of the prettiest Christmas and Holiday lights. Plus, during the holiday season they host events at City Hall and nearby that residents and guests can enjoy. As you can see, we crammed a lot into the weekend that we spent exploring Philadelphia. 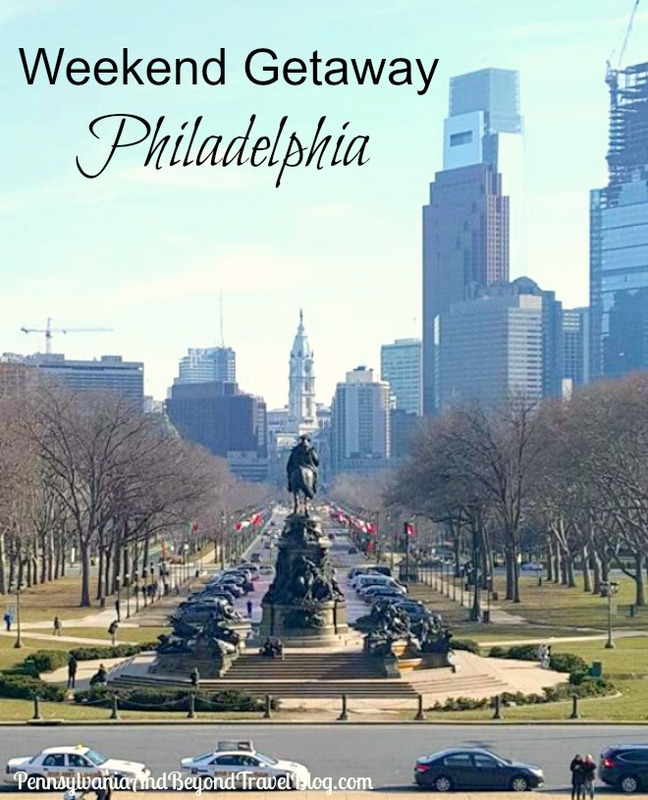 While you can see and do a lot in just 48 hours, I really recommend that you spend at least 5 days if you really want to experience what Philly has to offer. It has its own unique vibe and flavor.